This is the followup to my article: Charlie Chaplin’s Numerology – The 37/10/1 Lifepath Who Stood Up To Hitler – Part 1 Enjoy! 6) Charlie was incredibly fertile, both physically and creatively. Not only did he make 82 movies, have 11 children and 4 wives in one lifetime, he was notorious for his love of younger women. Perhaps this was due to the incendiary mix of his bullish 1 lifepath, charming 2 Destiny and feisty 26/8 Soul Urge*. It’s like he had an old mind and a young heart – part of him never grew up. His traumatic early life would have predisposed him to idealism. So I’m not surprised he fell in love at first sight with dancer Hetty Kelly, at age 19. Although Hetty was only 15 when they met, and they barely dated, she left a lifelong impression on Charlie, and remained his model for the perfect woman. *Your Soul Urge is the sum of the vowels in your name (see the system). It reveals your attitude to relationships and inner drives. I call 26/8 the Boss Through Partnerships. As 26/8 is the vibration of words like FAITH, Charlie was learning to choose wisely in relationships and business. 8, or Karmic Chakra energy, is about taking charge, instead of waiting for others to rescue you. When I see 26/8 in someone’s chart, I know they can be irresistible, impulsive and romantic. They often commit early, feel let down, then need to work through their baggage to find a true match. It’s important they establish their career, as they need respect to be happy. It’s hard to be faithful to others, if you aren’t true to your own nature. More on the karma of affairs. Actors Elizabeth Taylor and Paul Newman were 26/8 lifepaths, both known for their charisma and colourful love lives. Dan Millman, the author of The Life You Were Born to Live(the ‘bible’ of numerology lifepaths) is also a 26/8 lifepath – here’s my reading for him. If you’re interested in romance, I’ve also written about Six Soulmate Myths. He also said, ” I believe that what is beyond our comprehension is a simple fact in other dimensions, and that in the realm of the unknown there is an infinite power for good.” (from My Autobiography) Wise words, from an awakened man methinks. 8) His life played out like cosmic clockwork. 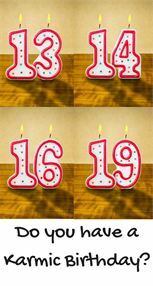 In numerology, we live in 9 Year Cycles, which change on your birthday, at least in my experience. Find your personal year. 1916-1917 (PY1-2) Had become world-famous for ‘The Tramp’, had also met Edna Purviance, who became his leading lady, partner, and helped him overcome his intense shyness, see this page. 1919 (PY 4) Sadly, Chaplin’s first child, a son with Mildred Harris dies at 3 days old. We often have wake up calls in our Personal 4 Year – our hearts demands that we go back to doing what we love and stop compromising on our home life. Find your personal year. 1934-1935 (PY1-2) Made Modern Times, commenting on the Great Depression. According to Wikipedia, it was Chaplin’s first feature in 15 years to adopt political references. 1943-1944 (PY1-2) Split from his third wife, and went to court over his relationship with Joan Barry. Despite blood tests showing he was not the father of her child, he was vilified by the FBI (who believed he was a Communist) and ended up paying child support. He also married his fourth and final wife, 18-year-old Oona O’Neill. 1952-1953 (PY1-2) On 18 September 1952, Chaplin sailed for London for a film premiere. At the time, he expressed a premonition he would not be returning, says Wikipedia. It was a Personal Year 1, Personal Month 1, Personal Day 1 for him in numerology (111 is code for triple new beginnings). The next day, America revoked his visa, leading him to move to Switzerland. I suspect he never quite recovered from the shock. 9) His final wife, Oona O’Neill was a 27/9 Lifepath in numerology, or Old Soul. I am not surprised they stayed together, as 9’s are often accommodating to their partners (read my guide to 9 lifepaths). Although Oona was only 18 when she married 54-year old Chaplin, she was clearly wise beyond her years, another feature of 9’s. She was an only child (another common 9-trait, they are the classic older child), whose parents divorced when she was four years old. To stay with Charlie, she chose to sever ties with her father and America. 9 energy is about conclusions and rewriting history – many 9’s emigrate, speak other languages and travel widely. My son Forrest is an 18/9 lifepath. Before he was born, he told me he’d move around a lot. Read more on psychic children. 10) Finally, one last surprise about Charlie Chaplin. His stage name adds to 74/11, or Master 11 in numerology. This is the number of the Spiritual Messenger, and vibrates to phrases like PERSONAL GROWTH and SYNCHRONICITY. 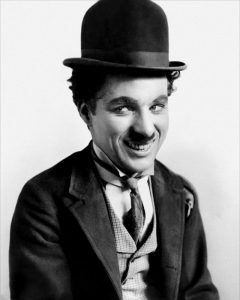 Anyone with Master 11 energy has double charisma, authority and stamina – no wonder Chaplin ruled the silent film era. The challenge of Master 11 is intense nervousness, addiction and insecurity (I should know, I’m a 29/11 lifepath). Although Chaplin died a controversial figure, his legacy was profound – he inspired figures such as Mickey Mouse, and actors like Marcel Marceau. I hope you’ve enjoyed this look at Charlie Chaplin’s numerology. There’s nothing I love more than sharing the numbers fun, and making esoteric knowledge fun and accessible.As an ex-scientist, I’ve meticulously documented many ‘miracles’ over the years, including the constant 11:11 sightings, which led me to psychic work and my Soulmate Kris Anderson (a fantastic Tarot reader and Reiki Healer in Brisbane). This is also why I teach numerology, because everything makes sense when you’re spiritually literate. How I wish my sceptics would take time to read The Science Delusion, by scientist, Rupert Sheldrake. Thanks to my 37/10/1 lifepath client, Kerry for the tip-off. This book articulates the proof for psychic phenomena and consciousness while discussing the failings of modern science. As someone who worked in a lab, I can vouch for the fact that not all findings are published, and that scientists face huge funding and political constraints, more than people realise. So it’s important to critique their findings before assuming it’s objective. Watch Rupert’s banned TEDx talk below. Re-uploaded as TED have decided to censor Rupert and remove this video from the TEDx youtube channel. Follow this link for TED’s statement on the matter and Dr. Sheldrake’s response: http://blog.ted…. Like Charlie, it’s always possible to succeed, as long as you use your hurt as a stepping stone to freedom, rather than a reason to stay down. The happiest people have overcome the biggest problems – Charlie’s life was an example of this. Despite a horrendous start to life, he went on to create vibrant, clever movies, which gave people hope, during a period of near-global war, economic depression and Hitler’s dictatorship. Can you see the parallels with America right now? Thought so. Maybe you’re the next Chaplin? If so, it’s time to make some noise! When you partner with like-hearted Souls, you can do what Charlie did – create beauty and justice in any field you choose. So speak up – LOUDLY. We need your voice. The 11:11 movement is about standing up for each other, and saving our tribe from extinction. How do you cure LONELINESS? By removing the word ILL from it. Then you get ONENESS again.Instead of labelling psychics and sensitive people crazy, let’s go back to our hearts and remember that we are humans first, judgements second. In some cultures, there’s a shamanic view that mental illness can signal the birth of a healer – see this article by Jayson Gaddis. I certainly went through something like this in my transition from 100% sceptical science geek to psychic reader. As Charlie says at the end of The Great Dictator: “To those who can hear me, I say, do not despair. The misery that is now upon us is but the passing of greed, the bitterness of men who fear the way of human progress. The hate of men will pass, and dictators die, and the power they took from the people will return to the people.” Thanks for your light Charlie, you were a mighty being.